Tales of Phantasia is a Super Nintendo RPG by Namco that came out in Japan in 1995. Tales of Phantasia was never officially released in North America because Namco felt RPGs weren’t popular enough at the time and that it wouldn’t be worth it. A scan from the November 1995 issue of GamePro talks about Tales of Phantasia, but the North American release was eventually cancelled. Back in January of 2001, a fan -based English translation was released by DeJap Translations. This made it possible for westerners to experience Tales of Phantasia, without having to use irksome walkthroughs and such. 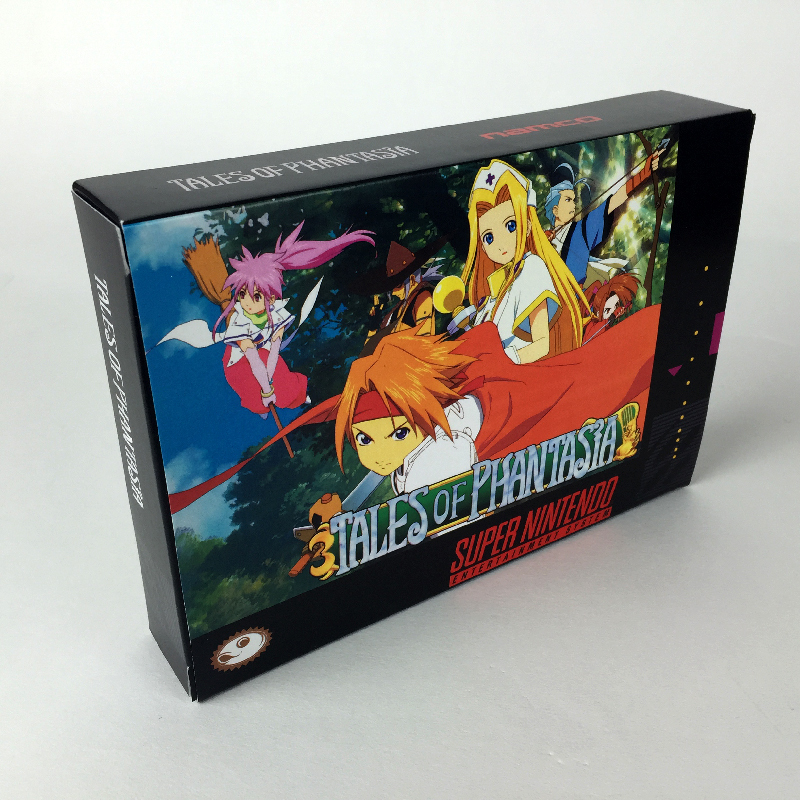 Tales of Phantasia was the first RPG for the SNES to feature full J-Pop music and a large amount of voice acting. Not only that, the battle system is none like anyone had experienced before. Battles take place in a separate battle sequence like in any other RPG, but the battles themselves are in real-time, much like Zelda or Secret of Mana, instead of the tried and true turn-based battle systems of most RPGs of the day.